I purchased these rotors about 1.5 years ago and I am looking to get a 2nd set and I have misplaced my receipt and cannot remember from what website I purchased these from. I have looked all over the internet and have had no luck with this. Hopefully someone on here has seen them and knows where they came from. I know this is a shot in the dark but it is my last resort. Those are stock rotors drilled and slotted in that manner. 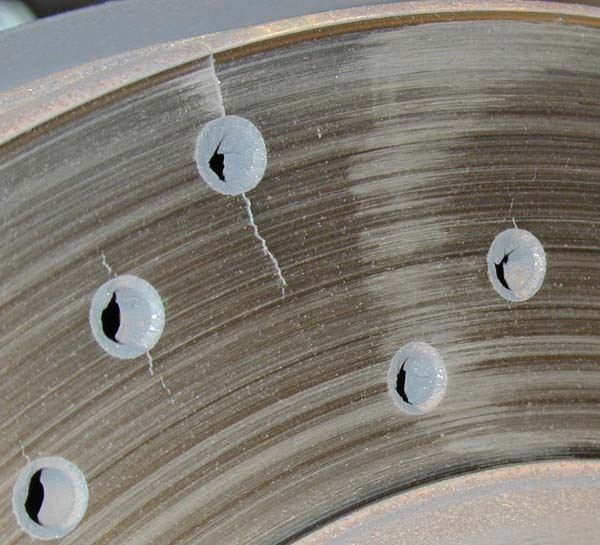 I wouldn't go with rotors that are drilled like that so closely together because with heat and time they may crack along the thinned section. Why don't you check out the R1 concept ones on ebay. A lot of members here have them. They offer the slotted/cross drilled ones. Here's a link to their product. Aside from the $5000 Brembo kit, are there any kits more affordable? Perhaps in the $500 range?if so, which?